INE offers Bootcamps in various locations around the world. We have carefully selected the most appealing areas that will offer our customers the best possible experience during their 5 or 7 day course. Bootcamp locations are optimized for both regional coverage as well as proximity to testing facilities and major airports. From the eastern to western U.S. coasts and even international locations, students are sure to find a bootcamp at a time and place that will work for them. For select Bootcamps, students have the option to attend online, live! Our online live classes offer all of the perks of our regular live bootcamps, but from the comfort of your own home. Students who choose the online live option will telecommute to their courses each day, following along with the rest of the class as if they were there in person. Durham is a creative, innovative community that is always doing something new. It occupies a prime location in the heart of North Carolina and is a nexus for learning, creativity, research, and industry. Durham is located less than 20 minutes from RDU International airport and just 30 minutes outside of North Carolina's capital city, Raleigh. Home to attractions such as the Durham Bulls Stadium, Research Triangle Park, and Duke University, Durham is a vibrant and exciting hub, making it a great location for our bootcamp classes. Reno is a city by the Sierra Nevadas and Lake Tahoe. 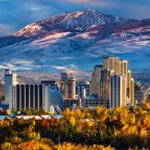 Dubbed “The Biggest Little City in the World,” it is known for its casinos and its proximity to many ski resorts. Reno is the third-most populous city in Nevada after Las Vegas and Henderson and is the birthplace of Harrah’s Entertainment (now known as Caesars Entertainment Corporation). Major tourist attractions include the National Automobile Museum that showcases more than 200 vintage cars, the MidTown District that is lined with shops and restaurants, and the Animal Ark (a sanctuary for rescued bears, cheetahs and other wildlife). Amsterdam is the capital and most populous municipality in the Netherlands. 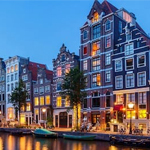 With origins as a small fishing village dating back to the 12th century, Amsterdam is steeped in history and culture. With its many fine restaurants and museums, today Amsterdam is revered as the cultural capital of the Netherlands. The city is also known as the commercial capital of the Netherlands, and one of the top financial centers in Europe. Many large Dutch institutions are headquartered here, and seven of the world's 500 largest companies, including Philips and ING, are based in the city. 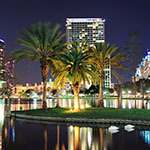 Orlando is located in central Florida and is nicknamed "The City Beautiful". As one of the world's most visited tourist destinations, Orlando's famous attractions form the backbone of its tourism industry. The two most significant of these attractions are Walt Disney World and the Universal Orlando Resort. While the city was built on theme park fame, the number and variety of Orlando attractions have grown to include world-famous restaurants, high-end outlet shopping centers, theatrical performances, and amazing concert and sporting event venues.